Google AdWords gives advertisers a myriad of options to target and refine when, where and how their ads are shown on the Search network. 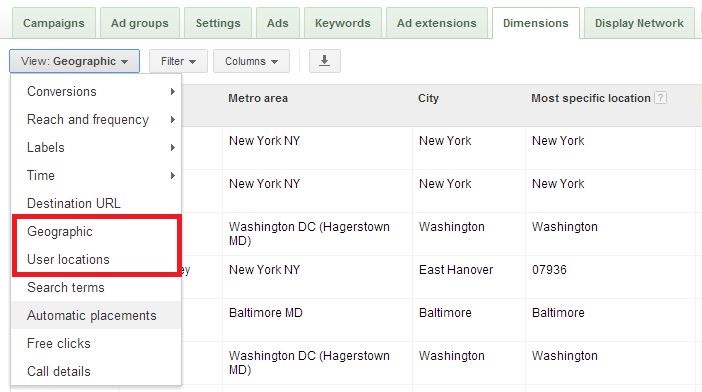 And as Jonathan Weber talks about in his most recent blog post about the location report in Google Analytics, you can easily compare and contrast location data from different advertising channels. This is Google’s physical location option. Anyone who is physically in the area(s) you are targeting will see your ad. The users IP address and the Google domain they are searching on play the biggest role in this determination. So if we were bidding on “animal shelter” and our location was Pittsburgh, PA, then anyone looking for “animal shelter” in Pittsburgh would see our ad. This one can be a little trickier as Google is showing a user what it thinks are “relevant” ads after they have been searching for a particular geo-based keyword or set of keywords (or even if they had been using Google Maps for that particular location). There are many unknowns with this option and leaves a lot of discretion to Google to make the decision to show an ad or not. Be careful when you set you inclusions for the targeting settings – if you aren’t careful, you might get impressions and clicks for keywords that are not related to you, but since you had the setting on for “search intent”, you showed up anyways. Of course, you can exclude by target location. Your options are simply “people in, searching for, or viewing pages about my excluded location” OR “people in my excluded location”. What you choose here can impact your later data, as you’ll see. 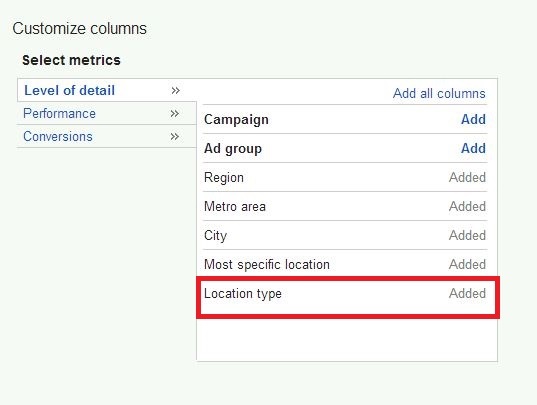 So after setting up your campaign with the targeted and excluded locations, let it run and then after enough statistical data rolls in, you can pull reports in AdWords that tell you where your ads resonated best. Sounds simple right? Well, yes and no. The geographic report shows BOTH physical location and location of interest based on their search queries. If you don’t see this column when you have selected the geographic report, select “Location Type” from the Columns option on the page. 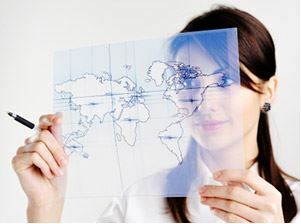 The user location report ONLY shows searcher’s physical location, NO MATTER the location they may have typed with their search query or at another time during their session. So why are these distinctions important? Why would Google give advertisers two reports that seems like they tell us the same thing, but in different ways? And with all the hubbub about Enhanced Campaigns and the new location bidding feature, I was even more encouraged to lay these questions to rest. In order to answer these questions though, a step back is needed. What are the primary goals in the account? and how important is Brand coverage in certain areas? If you were interested in the sheer volume of searches in a certain location for a campaign, then look at the User Locations report. This report will be the best gauge of interest in your brand/product/service in an area based simply on location. Additionally, you can see how expensive it is in general to be in these cities or regions and if it’s a viable area for you to target. I would use this report as a place to start. Maybe I found that based on sheer volume, there is a lot of interest or need for animal shelters in Pittsburgh. Next, I create a Pittsburgh campaign and exclude that from the main Pennsylvania campaign. My target settings are “people in, searching for, or viewing pages about.” The new exclusion for my Pennsylvania campaign is “people in my excluded location”. The goal of my new Pittsburgh campaign is still awareness, but now it’s driving in-shelter action, such as volunteers and donations. I would use the User Locations report again to see the level of interaction based on the user’s actual location. I could interpret this data to gauge the effectiveness of the physical location. If I find that I had the most volunteers and phone calls from the physical location, I might opt out of search intent. Or I’d break this campaign out into two; would have the location settings set to “physical location only” and ads tailored to get even more volunteers to cover shifts (and you could add a phone extension for local calls!). A second campaign might just be for search intent and ads would be tailored for “support” and donations. In a more simplistic view, you can gauge what areas are good for business and which ones had the best return or cost per sale. Then you can break out campaigns geographically based on performance and give each location(s) it’s own budget. Use the Geographic report and see how the physical location did compared to the search intent. You may realize that people who were shown your ad based on search intent are more apt to use that coupon deal or click on your ads more and visit the store, than those who were shown your ad based on physical location. (Or if could be the opposite!) Leverage this information to break out campaigns, tailor ads, or really start using the new location bids available to Enhanced Campaigns. There are several ways you can use each report…the lesson here is that you need to understand what each report actually tells you and how it might relate back to the goals of your campaigns. These examples here are by no means the ONLY way you could leverage location reports – how else have you used AdWords location reports? I’d love to hear!